Our prepay plans give you the freedom to pay what you want, when you want for your mobile. We believe all of our customers deserve to be rewarded, so on our prepay plans you can earn double Clubcard points just for topping up! Looking for a €5 text or data Add-on? Please visit our Add-on page here. What are the benefits of the new prepay plan? 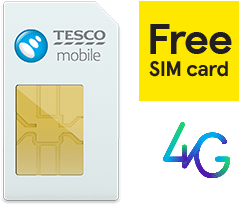 How to switch to Tesco Mobile? What difference does 4G make? How to sign up to Tesco Mobile? Just follow these simple steps and we'll have you setup in no time. 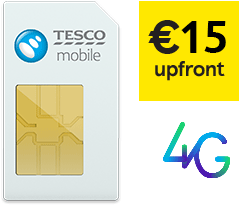 Once you receive the SIM card, top up by €15 to receive the new plan benefits. Still quite not sure what you are looking for?